I am so excited to be able to share these unique healthy eating plans with you! There are 4 different body types and 4 separate plans. By following your plan you will learn how to nourish your body's natural needs, eating lighter meals when your metabolism is slowest and larger meals when you can easily burn off the calories. I look forward to hearing about the amazing results you will achieve! I keep on receiving emails from my clients telling me about how much weight they have lost and how much better they feel. 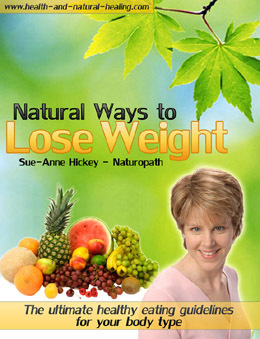 However, the book is for anyone who wants to increase energy and obtain optimal health. This is what I used to completely transform my own health. I used to be much weaker, had up and down energy all day with my energy crashing in the afternoon. I was hypoglycemic, constantly craving sweets, my body was overly acidic and I had eczema on my hands for over 20 years. All that changed when I started following my plan for my body type. The results were amazing! I healed myself completely and gained strength and energy like never before. As I share this individualized healthy eating plan with my clients, I watch as they too undergo complete transformations of their own. Those that have come to see me for other health issues have gained energy and lost weight, even if these outcomes weren’t part of their goal. They’ve increased their strength and healed their ailments. It is so rewarding to see my clients achieve their goals and transform their lives. I am as excited as they are. Lose fat where you most need to! Learn how to do a detox for weight loss for your body type. Be sure to send me Your success story!